insight and ended up changing the course of the entire Pacific war – an unexpected twist to the story. Jason Ridler sets out to do something similar in his singular book, Mavericks of War: The Unconventional, Unorthodox Innovators and Thinkers, Scholars, and Outsiders Who Mastered the Art of War. Here he rescues nine counter-narratives, or buried narratives, of unconventional thinking that turned out to be correct from a century of military history. He finds treasure on a par with an Akutan Zero. The stories of these contrarians, some famous and some obscure, give us both historical insight and personal profiles in perseverance. The lessons which the author breaks down for his readers apply to all of us, in any field of endeavor. While not all of these unorthodox thinkers were “victorious” in their time (certainly including Lawrence), they have all been proven right by history. 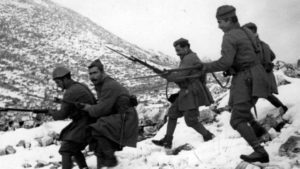 It is a good example of what I call new military history, history that takes in the broader cultural issues beyond the battlefield, similar, in its way, to Max Boot’s outstanding The Savage Wars of Peace: Small Wars and the Rise of American Power, which looked at valuable lessons to be found in “minor” conflicts often overlooked for more spectacular world wars. Because he is a teacher as well as a scholar, Jason Ridler has a knack for clearly explaining complex issues. You will enjoy these episodes featuring cultural acumen and the courage of his or her convictions against the animosity of the “maw of conventional warfare and industrial violence.” These are innovators who brought very different skill sets to the battlefield, and we all can learn from them. Still from David Lean’s 1962 film “Lawrence of Arabia,” depicting the prototype maverick. Wilhelm Wassmuss, a German diplomat turned ex-patriot, Wassmuss at one point lost himself in Middle Eastern society. “Rarely seen in public, he spent three years in an obsessive study of the desert and its peoples.” He surfaced as Consul to Iran in the First World War and turned into “the Lawrence of Persia”, helping that nation generate a rebellion against Britain. Monty Woodhouse, classicist, mathematician, Lord Terrington of Huddlefield, a Greek scholar who was parachuted into occupied Greece in 1942, Woodhouse played a key role in the Greek resistance. 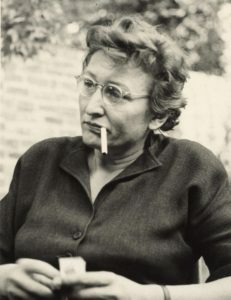 Cultural anthropologist Cora Du Bois, OSS Research and Analysis Chief in Southwest Asia cultural who illuminated new methods for clandestine operations in Indonesia. Bernard Fall, a child solder in occupied France, Fall grew into “the man who knew the war ” in Vietnam. 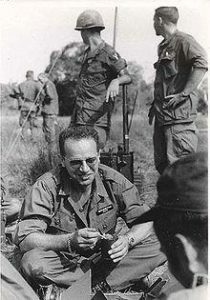 Fall’s long-time experience in Indochina as a correspondent and political scientist in the 1950’s and 1960’s gave him alternate views of American policy. Fall died prematurely when he stepped on a land mine while on patrol with American forces. Advertising executive Edward Lansdale and archeologist Charles Bohannon formed a partnership in the Philippines that produced America’s first postwar counterinsurgency success. Gertrude Bell, a risk-taking Victorian archeologist, mapmaker, and adventurer whose extensive travel among the tribes of Syria, Asia Minor, Mesopotamia, and Arabia proved formative to British imperial policy. conclusions about how to most effectively navigate among the warlords and factions of Afghanistan. Emma Sky became an influential voice in conflict resolutions in the complex landscape of the Middle East. 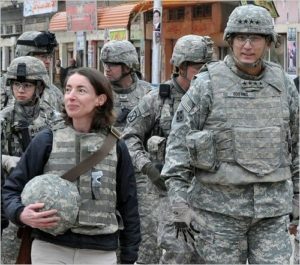 She served as political advisor to NATO, the British Council, and Generals Ray Odierno and Kip Ward, among others. on his subjects. Like them, he has applied constant effort over a long time to produce a thorough and original study. Capacity to Learn After Mastering Their Own Field, and Helping Others as a Calling. I never knew that. I’ve never even heard about that. Such an effort, to destroy your enemies from within, is not unlike current attempts to undermine certain Western democracies from within (via cyberspace). High value for a sentence found in small type, deep in an Author’s note. The remarkable thing to me is that Jason Ridler is writing as carefully here as he would on his opening page. This, I think, is a sign of a genuine scholar – their devotion to a topic is total. A friend of mine who teaches at Valley Forge Military College despairs of the marginalized state of military history today. All civilians need to know and understand the hard-won lessons of war. I used to sit in my friend’s class in the back row whenever I could. I remember one day he jumped from false promises in American elections to the example of the Luftwaffe’s empty promise to Sixth Army Field Marshall Friedrich Paulus in 1943 that they could keep the supply lines between Berlin and Stalingrad full and open (they couldn’t, and everyone knew they couldn’t). The destruction of the Sixth Army ensued. Great stuff. Reading Jason Ridler’s Mavericks of War is like sitting in the back row of that class – a dedicated scholar, clear exposition, an infinitely revealing topic, and fresh historical subjects who are mysteriously connected to one another, and to us. ignored by the military, but also how much good was generated once these “two cultures” stopped thinking of each other as “eggheads” and “idiot soldiers” and worked toward common purpose. Cultural, though I’m currently quite biased. It’s hard to imagine the landscape of actual warfare in the post-1918 period without the influence of T. E. Lawrence. The insurgencies, revolutions, and guerrilla campaigns of the globe over the next one-hundred years echo with his ideas which are rooted in cultural, strategic, as well as technical appreciations of how to fight war against those who choose to dominate by mass and technology. Compare that to tank use today. Whose ideas are in play more in South America or online, those of Lawrence or those of Guderian? It helps that Lawrence was a strategist as much as a tactician, of course. It’s hard to imagine the landscape of actual warfare in the post-1918 period without the influence of T. E. Lawrence. and viewed tradition and innovation as invaluable in fighting a conventional enemy. Diplomat, soldier, adviser, author, scholar, with the courage to not only die but also ignore his superiors orders to lead a revolt that would (he hoped) give the Arabs a position of authority when the war ended. That said, Lawrence knew that France and Britain would renege on their promise of an independent Arabia, so his death-march to give the Arabs as strong a position as possible against this truth is both damning as well as heroic. Chayes’ influence in Afghanistan was more akin to Bernard Fall regarding Vietnam: speaking truth to power. She did this against the corrupt warlords the US backed in the wake of the Taliban’s defeat; she did it against the increasingly corrupt Karzai government; and when she realized that General Petraeus would never deal with what she and others uncovered as the true power structure in the country (a vertically integrated criminal syndicate which used the central government as a front), she wrote a book about this failure and left government service not long after. Fall never held the same kinds of positions of authority as Chayes. He was locked out of those discussions because of this kind of critique: he saw French failure in Indochina and pulled no punches when he saw the US falling into a similar trap. For such insights he became a tar baby for most in the policy world (though soldiers often read his work, especially SOF troops who dealt with unconventional warfare). I guess this is progress of a sort even if both figures walked away from war efforts they saw as intrinsically flawed. Yes, all but two had civilian careers. Fall was a teenage-soldier during the occupation of France, but was an academic by trade. 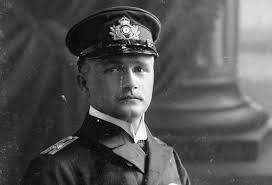 Wilhelm Wassmuss, the so called “German Lawrence,” was a diplomat. But the re st had careers outside the profession of arms. They had somewhere to go if they said “you’re fighting this war wrong.” And almost all of them had a deeper appreciation of other cultures than is normally associated with professional soldiers. Indeed, a point I make in the book is that conventional warfighters are trained to dehumanize an enemy in order to kill them. coalition strategies. And that idea that foreign cultures are worth respect and admiration (as opposed to Leachman, who saw it as a means of manipulation and disguise on intelligence missions) made a difference. college student with an interest in military history? Iraq. Ricks’ work was what solidified my desire to shift from the history of science and technology to culture and unconventional warfare. I owe him a great debt. at the tactical level (how do we execute the plan)? the norm not the exception), operational and tactical changes will buy time, not victory. In her digital reimagining of Gettysburg, Anne Knowles puts forward the idea that spatial narratives and geographic context count, and that many disciples working together are needed to understand a battle. What other trends do you see entering the field of military history? and even in the post 9/11 wars. I’m very glad to see it. 8. Where will the next innovator come from? What aspects of the Art of War need new thinking? That’s the fun part. We don’t know. But if they’re like the figures in MAVERICKS OF WAR they will be civilians who see their skill set needed by a modern armed force that does not like the war its fighting. Plus ca change, perhaps. Culture and economics seem to be the watchwords these days, especially as it relates to resource management. So, what enviro-warriors will arise to challenge old paradigms? Chayes came from the Peace Corps. Wherever it is I hope it’s not from the usual suspects. Let them emerge from the Occupy movement, or the EPA, or some failed Silicon Valley start-up. Each would bring fresher ideas than the usual suspects. cyberspace and outer space becoming new theaters of war? of tools possible within this field. To quote Yoda, we will need to unlearn what we’ve learned. Which reminds me, paradoxically, of a historical analogy-Lawrence’s love of Marshall Saxe’s career in 18th century warfare. Saxe was a great captain of his age but in Lawrence’s time was seen as antiquated and irrelevant compared to Napoleon, Clausewitz, or Motke the Elder. So who will read Lawrence and see his approach to warfare as applicable to influence operations and trolling populations or attacking banking systems instead of FOBs or assassinating political leadership? Stay tuned. procedures you would change in the U.S. Armed forces? will arrive as it does with Mavericks, an outsider who has the knowledge you FAILED to generate in-house is brought in. But that is a freelance fix which should become a professional career tract. The British famously noted that they find their weird eccentrics, give them a desk job and keep them on retainer until their strange skill set is needed. In the US, there’s a tradition of driving such folks out. Let the new warriors emerge from the Occupy movement, or the EPA, or some failed Silicon Valley start-up. Each would bring fresher ideas than the usual suspects. model for future armed forces? Depends on the quality of the candidate, the political culture of the unit, and its tolerance for contrarians. If everyone is listened to because they believe the same thing, who cares? Eliot Cohen noted something that speaks to a cultural norm he thought needed to be challenged- the old saw of “don’t come to me with a problem, come to me with a solution.” This adage reads as positive, but misses the first beat of the issue: leadership must acknowledge there is a problem. That is part of the burden of responsibility-that problem resulted from many factors but it is your problem. Following that cultural tag “no problem, just solution” actually distorts this truth. Very Orwellian. If that’s the cultural norm, I don’t care how many people are listened to because they will all say there are no problems. And that is dangerous, as we saw in Iraq (and that Emma Sky contended with in the final case study of Mavericks of War). The US can’t understand why Iraqis view them as occupiers . . . as they occupy a country that they did not invite, for WMDs that were never found, and who seem to have no knowledge of the people they are now patrolling. dissent, the “problems” he saw, allowed corrective measures to be taken to get Magsaysay ready. histories of the “losing” side? Hate to tell you this but the US has lost many wars and produced more manuscripts than the nations who won. How many books about the defeat of the Confederacy exist from folks with empathy or sympathy or connections to the failed Confederate states? How many books on Vietnam exist? And losing those wars impacts how they are written. There’s a fascination with that failure that is a great pull to research, good and ill.
British in Persia, Afghanistan and India because its chief asset as policy was that it promised something on the cheap. So it was doomed from the start. Kaiser Wilhelm II thought the project was most excellent because it would instill non-Germans to drain manpower from the British and Russians to deal with havoc in the Middle East and India. But it was also built on lies and on the cheap. 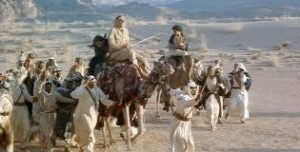 That said, Wassmuss dedication to a doomed task helped shape the war in the Middle East when it was most volatile (the defeat of the British at Kut, before the Arab Revolt takes off) and forced the British to deal with his intrigue and violence with various southern Persian tribes. He’s remembered as a clown because of his eccentric nature and bluster and that the audacity of his mission failed, but he also forced the British to fear him and the South Persian tribes who believed his mission. That fear drained resources, time, and focus into the small hornet’s nest of the Great War that was Persia. Hate to tell you this but the US has lost many wars and produced more manuscripts than the nations who won. (“MOOSEMUSS”) to break down success and failure in battle. would be your Tenth Rule? Learn a foreign language and read that country’s history of dealing with the United States. Have your assumptions challenged regularly. It helps reduce the amount of dogma that gets in the way of innovation. supervisor Sean Maloney continued to do great research in modern warfare with a historical lens. A friend said it makes a great book for those who are interested in military affairs but are not scholars. But it’s also great for deep readers of military history because it covers a greater range than most single-battle books: both world wars, insurgencies in the Philippines, the French and US experience in Vietnam, Afghanistan and Iraq. And, if I may be bold, I followed in the tradition of most of the Mavericks and I tried to write well. Rhodes was a firm believer that the tools of narrative can be employed by historians if we still adhere to the rigors of empirical research. I did my best with Mavericks. So far, the reviews have been edifying.